Sponsorship opportunities and tickets are still available for our upcoming 15th Annual African American Literary Celebration, which will take place on Friday, January 18, 2013 from 8:00 a.m. – 10:30 a.m. The event, which will be held at Tappan Hill Mansion, includes featured speaker Diane Brady, author of Fraternity and Senior Editor with Bloomberg BusinessWeek, and Honoree Dr. Bettye Perkins, Founder and Chief Executive Officer of Today’s Students Tomorrow’s Teachers (TSTT). Kevin Plunkett, Westchester Deputy County Executive, College of Holy Cross alum, is also the Honorary Chair of the event. For 15 years, WLS has presented this event featuring writers and individuals who have been inspired by Dr. Martin Luther King, Jr. and celebrates his legacy. 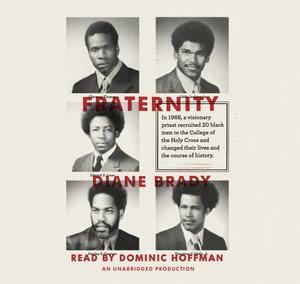 Diane Brady, author and senior editor of Bloomberg BusinessWeek will speak about her book “Fraternity” the story of five young African American men recruited by a visionary mentor at the College of Holy Cross in 1968. Dr. Bettye Perkins, founder and Chief Executive Officer of Today’s Students, Tomorrow’s Teachers will be honored of her extraordinary innovative mentoring program that recruits and trains culturally diverse and economically challenged high school students for a careers in education. The Literary Breakfast’s theme focuses on access to education, social justice and mentoring. Brady’s book “Fraternity” is an inspiring true story of a group of young men whose lives were changed by a visionary mentor – Fr. Brooks of the College of Holy Cross. Fr. Brooks, who shared Dr. Martin Luther King, Jr.’s dream of an integrated society, recruited, mentored and supported twenty African-American young men during the transformative time in our country and at College of Holy Cross in the 1960’s. Among the twenty students recruited that year were Clarence Thomas, the future Supreme Court Justice, Edward P. Jones, who would go on to win a Pulitzer Prize for literature and Theodore Wells, who would become one of the nation’s most successful defense attorneys. “Fraternity” is testament to the power of education and mentorship, and a compelling argument for the difference one person can make in the lives of others. The Literary Breakfast is sponsored by Entergy, TD Bank and SirsiDynix and proceeds from this event will help support WLS’s Learning Ambassadors, a system-wide, summer training and employment program for teens that includes early career and college exploration, volunteer community service opportunities and the development of marketable job skills. Tickets for the 2013 Literary Tea are $95 and include a networking breakfast and presentation. For more information or to purchase tickets, please call (914) 231-3241 or visit www.westchesterlibraries.org. In honor of Dr. Martin Luther King, spend your morning being inspired, help support our Learning Ambassador programs, and purchase your tickets today!